Your teeth are meant to last a lifetime. However, sometimes people find themselves in situations where tooth removal is the only option. While this procedure is common and relatively straightforward, it is important that patients are made aware of what this procedure entails. As noted previously, this procedure is very common. As such, most dentists in Melbourne will offer tooth removals. However, the complexity of this operation can differ between patients; it has the potential to involve a number of different services. 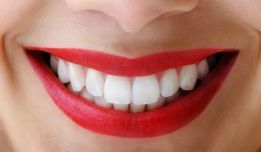 The Australian Dentists Clinic – Melbourne CBD offers advice and expertise that allows it to coordinate and conduct a variety of extraction procedures as required by patients. A survey conducted by the Australian Dental Association has found that the average cost of removing a tooth is $185. Prices range from $135 to $295. For people with private health insurance, the survey indicates that insurers tend to cover 50 to 100% of the cost, with an average rebate of $150. Private health insurers should be contacted to determine the rebate for Tooth Extractions. This is the most common form of tooth removal. This is because it involves the extraction of visible teeth. Here, the dentist will use a local anaesthetic and remove the tooth in one piece with the aid of forceps. Sectional procedures are conducted upon teeth that have multiple roots, which tend to be the molars. The dentist will need to separate the roots and remove them one by one in order to extract the tooth. Surgical extraction involves the removal of ‘impacted’ teeth (teeth that are not visible). This sort of procedure is comparatively more difficult than the others and may require an oral surgeon rather than a dentist. The surgeon will need to make an incision in the gum in order to remove the invisible tooth. After gum and bone tissue is removed with a drill, the surgeon uses forceps to rock the tooth back and forth. This will loosen the tooth and make it easier to remove. However, the tooth may not come out in one piece; the surgeon may have to break it up and remove portions one by one. This sort of procedure often requires a general anaesthetic. In each of these three situations, the removal of the tooth will cause profuse bleeding. As a result, the dentist/surgeon will place gauze over the removal site to absorb the blood until a clot forms. Dentists may also use dissolvable stitches to close the incision. Every patient is different. However, there are some common issues that might make a tooth extraction necessary. Trauma or decay can damage a tooth beyond repair. In situations where alternative procedures are not an option, your dentist may advise that your tooth needs to be removed. Sometimes teeth can struggle to break through the gum line if other teeth are too big or there are too many in the mouth. If space needs to be freed up, teeth can be removed. This sort of procedure is particularly common in people who require orthodontics. While a simple filling is normally used to remedy tooth decay, further action may be required if the deterioration has exposed the pulp of the tooth. Here, bacteria in the mouth may have infected the pulp. Alternatively, dentists may choose to remove the decayed tooth in order to limit the risk of infection. A dentist may recommend that a tooth be extracted if it is not properly aligned with other teeth. Even if this tooth is not causing any damage, this proactive surgery is designed to prevent oral health risks from ever arising. A tooth extraction may be required before some other procedure. For people receiving orthodontic work, such as Invisalign this is common. Radiation therapy and chemotherapy can weaken the immune system and make people prone to infections; as such, tooth extractions may be necessary in preparation for these procedures. This is similarly the case for people undergoing organ transplants involving medication that has a negative affect upon immunity. The American Pregnancy Association recommends that pregnant women should not undergo dental procedures beyond their second trimester. People suffering from leukaemia should not have teeth extracted. Elderly people must be monitored during the surgery more extensively than other patients based on their potential response to anaesthetic. People should inform their dentist prior to the surgery if they suffer from the following conditions: Congenital heart defect, Diabetes, Liver, thyroid, renal disease or Damaged immune system. In these situations, your dentist may vary the typical procedure to compensate for your particular condition. One feels nauseas or vomits. The clot dislodges from the socket ('dry socket'). The removal site is red, swollen or contains discharge. One notices signs of infection, including fever and chills. One experiences shortness of breath, chest pain or coughing. It is important to note that an extracted tooth will leave a gap in a patient’s mouth. Other teeth may shift in order to cover this gap, which can lead to alignment problems. Patients are also known to have aesthetic concerns and trouble chewing as a result of this procedure. As a result, patients should seek their dentist’s advice to determine whether an implant or dentures are necessary. There are a variety of measures patients must take post-surgery to ensure a full recovery. While each patient will be different, one can expect to be completely healed after a fortnight. Take painkillers as prescribed to them by their dentist/surgeon. Chew on gauze for 3-4 hours post-surgery. Ensure that this gauze is changed before it becomes saturated with blood. Use an icepack to prevent swelling but only for 10 minutes at a time. Take 1 day-off for rest and recovery and do not engage in any strenuous work for 2 full days. After 24 hours, mix 1.5 tsps of salt with warm water and gently rinse. While sleeping, prop head up with a pillow to reduce bleeding. Only sleep flat on your back. If there is jaw swelling, use a warm compress. Complete any course of antibiotics prescribed. It is incredibly important that the blood clot covering the wound does not dislodge. This can lead to a condition known as ‘dry socket’. The clot protects the jawbone and nerves which are exposed as a result of the surgery. Without this protection, patients can be vulnerable to illness and intense pain. Avoid spitting and rinsing vigorously for 1 day. Not smoke for the full period of recovery. Avoid drinking from straws for 1 day. Avoid hot foods for 1 day and consume mostly soft foods for the majority of the 2 weeks. 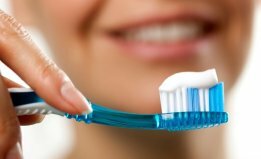 Use a children’s toothbrush to clean other teeth gently. Ensure that you brush your tongue to prevent bacteria from entering the wound. The surgery involves the removal of significant amounts of jawbone. This can have lasting detrimental effects upon jaw strength. The procedure risks nerve damage. The patient has a pre-existing jaw condition that could lead to the socket not being able to heal (includes periodontal disease and osteoporosis). The patient is suffering from leukaemia or is in the process of receiving radiation treatments which can significant weaken oral health and recovery mechanisms. In saying this, dentists often have no other option but to remove a tooth. So, it might be necessary regardless of these considerations above. One possible alternative is root canal surgery. Root canal surgery involves the removal of the nerve and pulp from a badly decayed or infected tooth. The inside of the tooth is cleansed and placed back into the mouth without the nerve inside it. The tooth is dead, or non-vital, but remains in the mouth for alignment and aesthetic purposes. This surgery is a viable alternative where tooth removal is necessary due to decay. Will I be able to drive myself home from the procedure? This depends. If the dentist uses a local anaesthetic (an injection into the site where the tooth will be removed from), then yes. If a general anaesthetic is used, then no. Patients undergoing surgery involving sedation will require someone to drive them home. Medicare does not cover dental examinations. 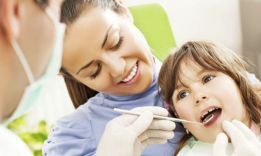 Under some circumstances the Australian Government may provide financial assistance for example, children who are eligible for Child Dental Benefit Scheme or those who have been issued vouchers to undergo dental treatment. How long will the swelling from the surgery last? It varies. The worst of the swelling usually passes by the second day but it can continue for a week or so. Icepacks and warm compresses should be used to try and reduce swelling. Should I use mouthwash to disinfect my mouth during the recovery process? No. Gentle rinses with salted water are strongly advised. Mouthwashes should be avoided. Can a child have a tooth extracted? Yes. This procedure is generally safe for children. However, each person is different and the specifics of a child’s case should be discussed with a dentist prior to organising a procedure. It is important to note that removing a baby tooth may be unnecessary based on the fact that it will eventually fall out and be replaced by a permanent version. How long will the anaesthetic last? Generally, a few hours. As such, patients should be wary of accidently chewing on their tongue or cheek in the immediate aftermath of the surgery as they may not be able to feel this pain. Will anything quicken the recovery process? Rest is most ideal. However, a healthy diet and vitamin C supplements can help significantly. I have undergone surgery, returned home and am in significant amounts of pain – what should I do? Contact your dentist. It is likely that you have dry socket. Stick to the painkillers your dentist has prescribed until he/she varies their advice. 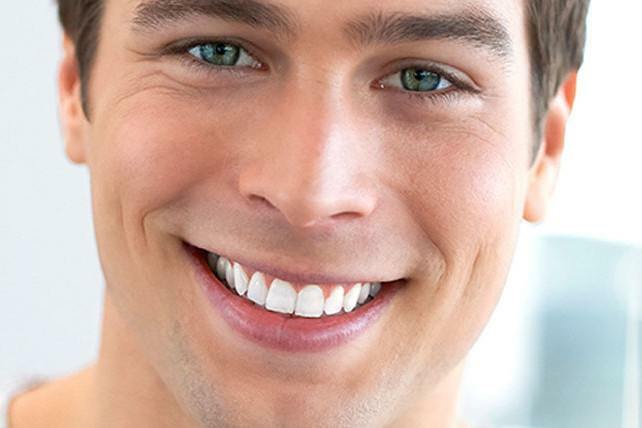 Why Choose the Australian Dentists Clinic? Tooth removals are simple and uncomplicated – when conducted properly. The Australian Dentists Clinic has locations across the country. It is trusted by Australians to provide professional advice and services that range from simple teeth cleaning to intricate surgeries. 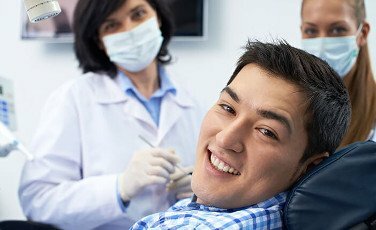 Our highly-qualified team of dentists and assistants will make the process of tooth removal as simple as it can be while also providing you with constant support for the 2-week recovery period. We offer competitive prices and, most importantly, convenience. Our Melbourne CBD location is open 7 days a week from 9am until 6pm. This means that we can conduct the procedure at a time and place that suits you and your schedule. Tooth removal all starts with a simple check-up and conversation with a dentist. This can easily be organised via our website or calling us to book an appointment. The longer a tooth remains unremoved, the more it deteriorates, so we strongly advise getting in touch with us as soon as possible.